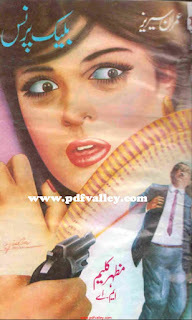 You can download Black Prince ( Urdu بلیک پرنس) by Mazhar Kaleem free in pdf format. Mazhar Kaleem's Imran Series is a series of Urdu spy novels written by Pakistani author Mazhar Kaleem within the classic Imran Series mythos created by Ibn-e-Safi. His first novel was Makazounka in which Kaleem first introduced the character of Captain Shakeel, who was transferred from Military Intelligence. It was published in the late 1960s. Each book in the series was a complete novel but some stories spanned over two or more books (for instance, Kaghzi Qayamat, Imran Ka Aghwa and others). The character of Ali Imran is a playful yet deceiving personality. He is a bright young Oxford graduate with M.Sc. and Ph.D. degrees in chemistry. His comical and apparently incompetent persona hides his identity as head of a secret service. The Imran Series explains the workings of a country's Secret Service that operates from the capital of an imaginary country called Pakasia. The Secret Service is administered by the Secretary of Foreign Affairs, Sir Sultan, who offers Imran the position as the Secret Service's head after getting personal help from him. He is known for writing the Imran Series and has written short stories for children as well. He is the anchorperson of a saraiki radio talk show from Radio Multan, "Jamhoor-de-Awaz". He is a lawyer who was elected Senior Vice-President of Multan Bar Council.